JOAN BUSBY was born in Yorkshire and is a science graduate of Edinburgh University. She studied singing with several inspiring teachers, notably Edna Hall (in Middlesbrough), Ena Mitchell and Laura Sarti, with coaching from Paul Hamburger. She made her first broadcast for the BBC at the age of 14. Later she sang with Scottish Opera and the John Currie Singers, with the Hill Square Consort and with Trio Felice, for BBC Radio and for STV, in oratorio and in many concerts. 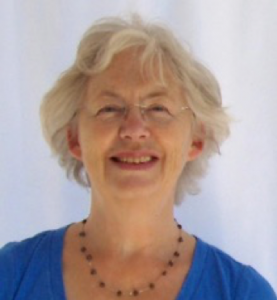 Joan teaches singing both privately and at Edinburgh Napier University, and at the prestigious Oxenfoord International Summer School for Singers, of which she was a founder and for many years Director. Her teaching is based on Bel Canto technique with insights from Estill Voice Training and Core Singing. She aims to encourage beauty of tone and line, lively expression and for the singer ease, freedom and enjoyment. She has devised themed programmes for special venues, including the National Gallery of Scotland, the Royal Botanic Garden, Edinburgh, and the Tate Gallery in London. She initiated and became Festival Director of the Handel at Hopetoun Festival, with its memorable production of the opera Rodelinda, with Rebecca Evans and Michael Chance. Songs of the Hebrides – the adventurous life story of Marjory Kennedy Fraser, illustrated by some of the many lovely songs from the Hebrides which she collected, arranged and published. This programme has been performed many times, in Scotland and England and as far afield as New Zealand. A special ‘Dreamcoat’ was made for it by the designer Fiona Fraser, of painted silk, featuring references to the portrait of Marjory Kennedy-Fraser and Saint Bride by John Duncan which hang in the National Portrait Gallery of Scotland. A CD, Songs of the Hebrides is available from Amazon. Individual songs can be downloaded as mp3s from CDbaby.